Where is Banking’s Prime Account? Of the 227 reports I authored at the helm of Online Banking Report, I am proudest of Building the Amazon.com of Financial Services written in mid-1998 (see notes 1, 2). The gist of it was that in the Internet era banks should broaden their offerings beyond checking, savings and loans. And importantly, that many of these opportunities did not require a banking charter. In fact, in many cases it would be better to not have one. While many of those Amazon-like opportunities are still available today, there is also a massive new one. Amazon Prime which accounts for about $6 billion in annual revenue across 70 million subscribers. And that’s just the subscription revenue. It doesn’t include the sales lift across the Amazon marketplace. Considering that Amazon reported $2.4 billion in net income last year, just 40% of estimated Prime revenue, you can see how important it is. So banks, where is your Prime program? 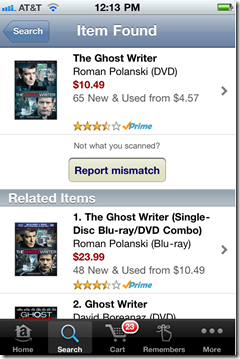 Not free shipping, of course, but the ever-improving bundle of value-add services available for an annual/monthly fee. The price that your most engaged customers will pay to get the very best services you offer. It’s a classic marketing strategy, right of Mktg 101 or maybe 201. And one that banks used themselves in the 1980s and 1990s when they created Gold, and then Platinum, credit cards chock full of so-called benefits even their product managers didn’t fully understand. It’s high time to turn digital banking into its own profit center. It will help you properly allocate capital to the growth channels, while investing less in those that are tanking a bit less robust. It was that report that prompted Elon Musk to call me out of the blue one day and ask that I help him with his banking startup, X.com, which eventually morphed into PayPal. Although, stupidly I didn’t pursue the job opportunity, I did consult for him during X.com’s first year when they were still trying to buy or build a commercial bank (against all my advice). The report was updated in late 2000. 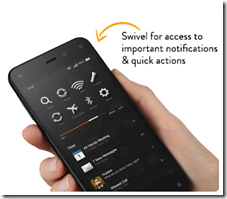 Seattle was abuzz today with the launch of Amazon’s long-rumored smartphone, dubbed Fire. Naturally, I look at everything through a digital banking lens. So here are its innovations that could be leveraged or imitated for mobile banking. Description: Fire users can tilt or swivel the phone to navigate through an app. For example, on the Kindle app, users can advance the page by tilting the phone so they don’t have touch the screen every time you get to the end of the page. Mobile banking use: Tilting would make a convenient way to page through transaction records. It could also be used to open additional functions such as tagging transactions or initiating a payment (e.g., Starbucks “shake to pay”). Verdict: Until I get my hands on the phone, it’s a little hard to know how useful this feature will be. But it sounds like a nicely useful UI improvement (note 1). Description: Like the Kindle Fire, the Fire smartphone has one-button access to 24/7 video customer service with response time measured in seconds. Amazon calls it the “mayday” button. Mobile banking use: Most mobile banking applications include telephone integration for a voice call to the call center. Instant video conferencing could be a good premium feature for high-value and/or fee-paying customers. Verdict: While video customer support is not a killer feature, it has a nice ring to it when listed on your feature/benefit list. Certainly, banks should work on quicker response times for various types of products and/or customers. Description: Amazon raised the bar for photograph storage, promising unlimited storage for all the pictures snapped from your Fire’s camera. Mobile banking use: Unlimited cloud storage for all transactions and statements. Verdict: I know your compliance team gets queasy when discussing long-term data storage. But it’s time to rise above all that and invoke one of the best customer-retention tools imaginable, unlimited secure storage of all banking records (see note 2). 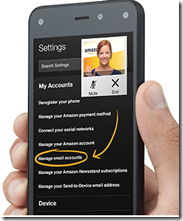 Description: Fire smartphone buyers get one year of Amazon Prime membership free of charge. This savings of $100 covers half the cost of the 32GB phone ($199 with 2-year contract). Verdict: Digital banking channels need an identifiable revenue stream to help pay for needed innovations and specialized services. A $4 to $5/mo “bank prime” membership program would go a long way in making digital a profit center (see previous post, note 2). 1. For more info, see our latest OBR Report on advanced mobile features (published June 2014, subscription). 2. For info on fee-based financial services, see Online Banking Report (subscription) on fee-based online services (May 2011); paperless banking and online storage (late 2010); and lifetime statement archives (2005). 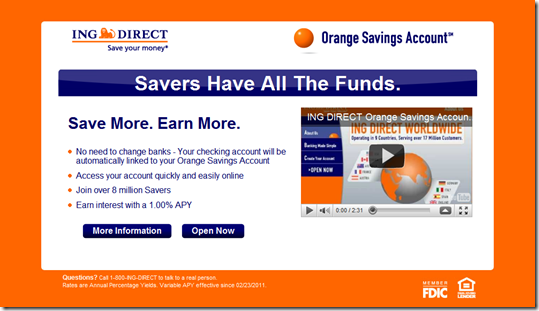 ING Direct (USA) is a large online advertiser. And because I frequently click on financial ads, I’m sure they are served to me far more than the average Jo(e). 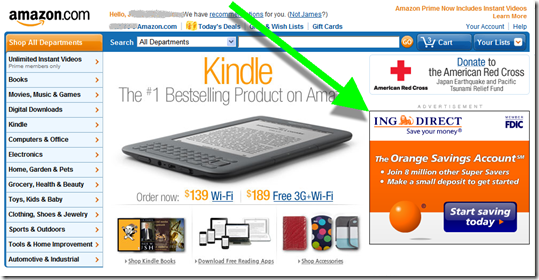 Still, the placement of ING Direct’s ad today at Amazon.com surprised me. 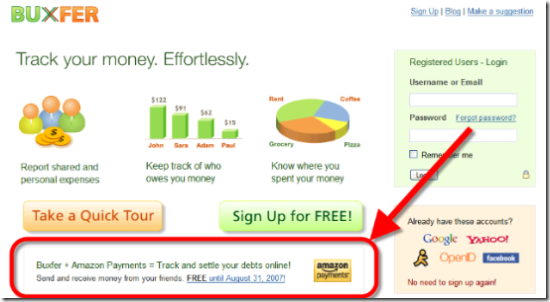 First, I’m not sure I realized that Amazon had turned over that much homepage real estate to third-party advertisers. It must be lucrative. Second, how does it pencil out for ING Direct? That has to be an expensive ad. How many 1% deposits do you have to get to cover those acquisition costs? Note: While I like online video for sales support, the length of this 2.5 minute video on how to open a savings account seems a little excessive. 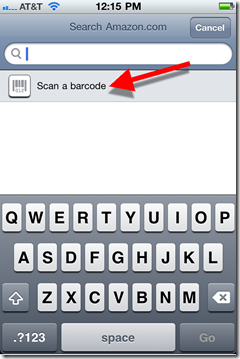 Is Barcode Scanning the Next Must-Have Feature for Mobile Banking/Payments? 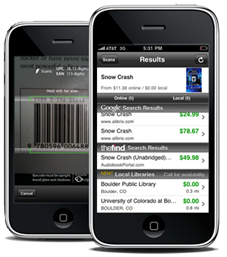 Barcode scanning via mobile phone has been around for a a while. But until Amazon.com added it to its mobile app this week, I hadn’t experienced it firsthand. 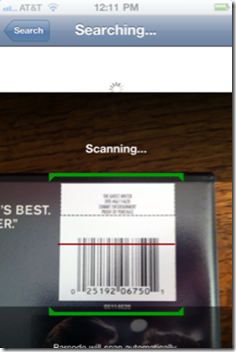 Target’s iPhone app also supports barcode scanning, powered by RedLaser. And it’s impressive. Unlike mobile remote check deposit, where the trial-and-error method of getting a good picture can be tedious, barcode scanning provides real-time feedback so you know exactly when the camera is positioned for a successful scan (see screenshots of the process below). Yes, it took a minute or so to get my first scan to work, but the built-in feedback mechanism makes it feel more like a game that I eventually won, not a frustrating task. But don’t take my word, it’s something you should try yourself via the Amazon Mobile or RedLaser app (see inset). Relevance: Robust payment capabilities are the reason we believe mobile banking eventually eclipses online banking in importance. Whether it’s location-based fraud monitoring, mobile wallets, or contactless payments, mobile phones have so many advantages that users will naturally gravitate to them to manage their spending/banking. 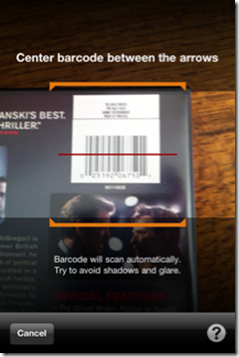 Barcode scanning, or the even cooler picture-recognition (also supported by Amazon, see screenshot #5), are important shopping value-adds that many mobile users will use. However, it seems to be more of a feature than a standalone app. And where’s the most logical place to locate that feature? Integrated directly into bank debit and/or credit card apps. 5. 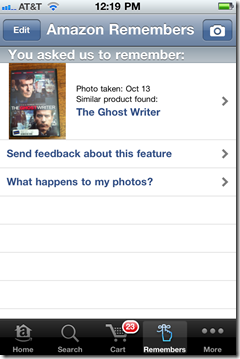 Even faster, at least for media titles, is the photo-recognition feature offered by Amazon. Within seconds after snapping the photograph, Amazon had it identified and stored for future reference. Note: For more info on mobile banking, see our mobile banking series in Online Banking Report. One of the best things to happen in 20 years of living in northeast Seattle was the opening of Barnes & Noble in our local shopping center, replacing the tired old department store, Lamonts. For this family of readers, the massive, two-store B&N has continued to be a cherished destination for more than a decade. When the boys were young, it was Tuesday night story time (with free fresh-baked chocolate-chip cookies). Later, it was a place to spend their birthday money on new books, music and DVDs. And I’ve personally bought at least a couple hundred items there over the years. But I’m also an Amazon.com fanatic and buy most everything I can there nowadays. My wife and I (though not the boys yet) are ebook addicts, reading on our iThings via the Kindle app (note 1). So, I’m more than a little concerned about our neighborhood Barnes & Noble. Printed books and other media, along with CDs/DVDs, are on their way out, so is there any hope of keeping the neighborhood B&N in business? Here’s my dream: Amazon buys Barnes & Noble, perhaps partnering with a major financial services brand (note 2), and turns it into a fully online/mobile channel-integrated super store. Amazon’s major online departments could be recreated within the massive B&N footprint: the book store, of course, electronics, music, movies/TV, toys, home and garden, shoes, and so on. High-volume goods would be stocked and available for purchase. Consumers could also pick up goods ordered via online/mobile enabling same-day delivery for many items. But the main focus of the store would be self-service online shopping. Shoppers in the shoe department, for example, could see and hold various styles, but would place an order through a mobile app or online kiosk, to get their specific size delivered to the store or their home. The concept would be to showcase a wide variety of items without incurring the costs of holding massive inventory within the store. Though I’m not a huge fan of branches, they still have their place. Amazon could turn a corner of the store into a financial services center. The center would feature deposit-taking ATMs to handle those pesky checks and would have a financial specialist or two on hand to help customers with mortgages and other high-touch financial needs (no transaction activity, however). Financial center staffers could also be incented to help drive users to co-branded Amazon loyalty programs with online and in-store sales diverted from credit cards to ACH/debit, saving the company tens of millions in annual interchange. Financing big-ticket items could also create a massive new revenue stream for the retailer. While the financial operations could be private-branded under the Amazon name (e.g., Sears), it would probably make more sense to partner with a major direct financial services company such as ING Direct, Citibank, or Schwab, or an international giant such as Standard Chartered, Barclays, or OCBC which would gain a major footprint in the United States with 700+ strategically located mini-branches (notes 3, 4). It’s not going to happen, Amazon is a Wall St. darling as a pure-play ecommerce company, but for the sake of the neighborhood, I wish it would. In this simplistic proposal, I’m ignoring a zillion issues which are beyond the scope of this blog. For example, would existing B&N leases even support Amazon’s product mix? But to an outsider, it looks enticing for the following reasons. B&N is currently valued at less than $900 million and change after a recent run-up after it announced that it was for sale (note 6). In comparison, Amazon’s is worth $62 billion today. As a matter of fact, its market cap has grown $7 bil since I started this post a couple weeks ago, enough to buy seven Barnes & Nobles. Clearly, Amazon could afford it, though whether shareholders would support it is another matter. Merging with B&N would take out one of Amazon’s major competitors, theoretically allowing the company to boost prices. With $25 billion in revenues, a quarter-percent (25-basis point) price increase at Amazon would add $60 million to the bottom line. In-store pickups could help reduce Amazon’s massive shipping expense. And while B&N isn’t currently generating a profit, it was operating cash-flow positive during the past 12 months (+$120 million). Amazon could partner with other direct commerce companies to spread the risk. The financial services mini-stores alone could bring in $100 million annually assuming a $10,000 per month rent/rev share per location (note 3). And other retailers might also be interested in mini-stores within the big Amazon box: Microsoft, Dell, Sony, HP, Drugstore.com, and so on. 1. While I consume almost all fiction digitally, I still like to buy printed business books to keep on the reference shelf. I find it easier to remember they exist that way. Even my semi-Luddite brother has jumped on the Kindle bandwagon at the new $139 price point. 2. I mostly added this to justify posting it here. Ironically, this strategy is almost the polar opposite of our Online Banking Report: Creating the Amazon.com of Financial Services originally published in 1998 then updated in 2000 (more recent summary here). 3. I’m not including another 600+ B&N locations on college campuses, because many of those would not be a good fit for financial services and/or the schools would not allow a competing financial provider on campus. 4. Adding financial stores to Barnes & Noble retail locations could be problematic if the leases prohibit banking operations due to exclusive deals with other banks in the shopping center. 5. Caveat: Although I do have an MBA, my balance-sheet reading skills are quite rusty. And I don’t have an ounce of retailing experience (outside banking), so please realize this is primarily conjecture on my part. 6. There’s also another billion in long-term debt and other obligations. I love how the Internet removes friction from everyday tasks, especially payment-related ones. 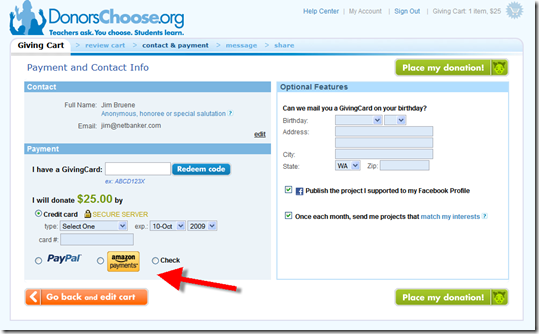 And one of the great success stories of recent years, beginning with Hurricane Katrina relief in August 2005, is how easy it is to make charitable gifts online. I’ve used the Red Cross site several times. It gets the job done, but not with the flair and superb user experience of Donors Choose (note 1). 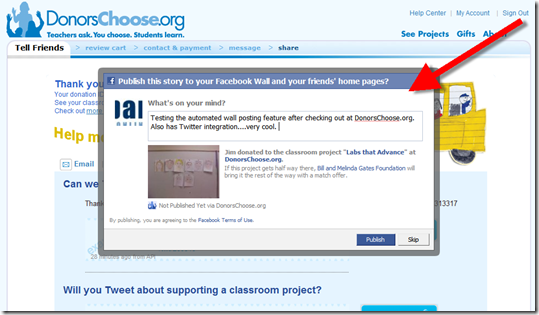 If you want to see a state-of-the-art checkout system in action, and support kids in the classroom, check out Donors Choose. Note: First Tweet was Sep 29. Have done 342 since then (through 13 Oct 2009). 1. My first donation via Amazon Payments failed because I accidentally used a canceled credit card number. 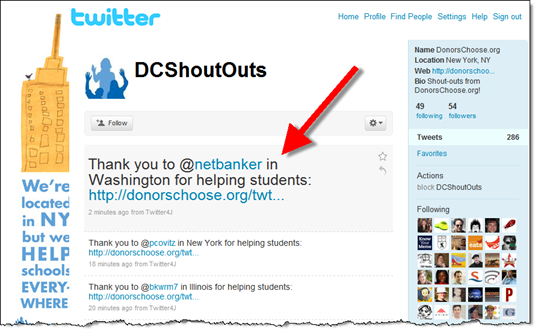 And evidently there is a bit of a bug in the feedback loop to the Donors Choose site. I got an error message, but when I clicked “next” to re-enter the payment, the site transferred me out to the thank-you page and I was unable to go back and re-do the transaction. 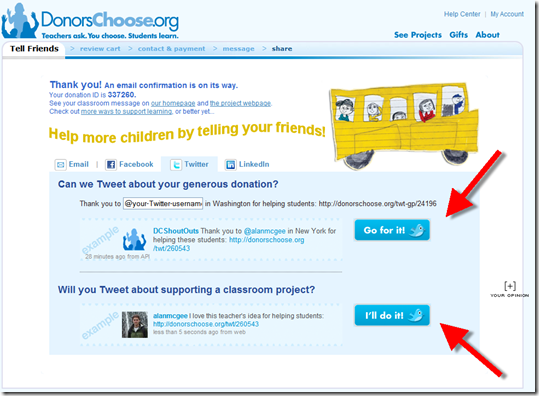 I had to start all over again, and now the site shows that I’ve made two donations instead of one. Today, Buxfer added funds-transfer capabilities to its online personal finance app (see announcement here, previous coverage here). The service is free through the end of August, but could eventually carry 1% to 2% fees to cover transaction costs. Buxfer co-founder Shashank Pandit has been dangling this bit of news in front of me for the past two weeks. But he would only tell me that they were partnering with a big player to enable funds transfer (note to Amazon attorneys, he did NOT violate the NDA). I figured it would be Chase, Wells Fargo, or perhaps PayPal. Even with the rumors this week of Amazon's new payment services, I hadn't put 2 and 2 together. This morning it all makes sense. Amazon.com announced a potentially disruptive payment service, aptly called Flexible Payment System (FPS). And it's announced, in what else, a lengthy blog post at the Amazon Web Services blog (see note 1). The FPS website is here. The company even built an FPS Sandbox where users (see screenshot below), both individuals and companies, can play with the service without moving actual money around. Buxfer is using Amazon Payments to allow users to settle their debts electronically, a vital piece of a social personal finance app. Online personal finance without payment capabilities is like the Internet without email. Even if the company ends up charging a small fee, the convenience would be worth it for many users. The Amazon service potentially makes it easier for smaller Web-based companies to take on traditional financial institutions. It won't alter the payments landscape overnight, like PayPal did in 2000, but it could usher in a rash of new entrants competing with banks and credit unions for the high-end personal finance customer (note 2). But the big stumbling block: consumer trust still favors incumbent financial institutions. In any event, the game just became more interesting. For more information, see Online Banking Report: Social Personal Finance. 1. The post is signed by Jeff, which is Amazon evangelist Jeff Barr, not the slightly more famous other Jeff (Bezos). 2. 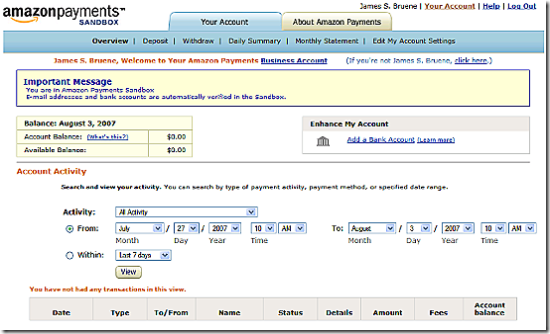 Another company using Amazon Payments is FreshBooks, a small-business billing service.